Imax documentary Hubble, which is narrated by Leonardo DiCaprio (Shutter Island), has been available on Blu-ray 3D since March but only through Best Buy. On May 31, the disc was made available widely at all retailers from Warner Home Video. The 2010 film chronicles seven astronauts aboard the Space Shuttle Altantis as they repair the Hubble Space Telescope, often suspended in space outside of the shuttle. In the mission, the telescope’s Wide Field Camera and Cosmic Origins Spectrograph were upgraded, as well as repairs made to the Advanced Survey Camera and Imaging Spectrograph, making Hubble’s vision deeper, clearer and more sensitive to color and light. The documentary also details the life of the Hubble, from its inception to this shuttle visit. The telescope was launched in 1990 and has given us data about the formation and composition of solar systems and galaxies beyond the Milky Way. The movie was directed to Toni Myers, who’s no stranger to space documentaries. She also helmed Imax’s Space Station 3D and the short films Mission to Mir and Destiny in Space, among others. 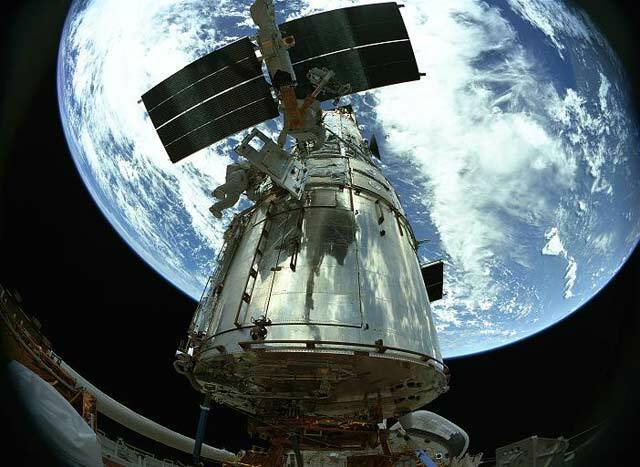 The 44-minute Hubble grossed $23 million on Imax theater screens. The Blu-ray 3D is priced at $44.95. Hubble has been available on DVD since March.